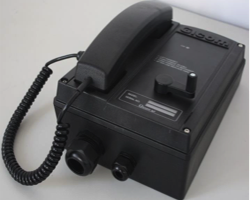 Sound Powered Telephones (SPTs) enable communication throughout strategic locations within the vessel without requiring an external power supply. Calling signals and amplifier power are derived from a hand-operated magneto generators. Primary benefit: Intrinsically Safe ATEX-approved versions of these phones are available for installation in hazardous areas. These models have a very low risk of sparking explosions. GICOM was established in 2012 by a team of experts, each with decades of experience working the fields of marine communications and shipboard systems. The firm is based in Genoa, Italy, and provides marine communications solutions to ship builders and fleets, worldwide. GICOM officially launched its integrated marine communications solutions in 2013. Since the inception of the company, engineering design, equipment production, quality control, commissioning, and support processes have been based on full compliance with worldwide Classification Societies Rules and IMO/SOLAS Recommendation. GICOM Srl provides the full package of maritime internal communication/general alarm including data, video systems and both analog and digital audio signal processing equipment, such as telephones, background music and entertainment systems. Some of the systems include public address and general alarm (PAGA) systems, audio/visual columns for noisy areas (Engine Room), ATEX certified telephones, hospital and refrigerated chamber alarms and CCTV systems.